– A Slender stalk supporting or connecting another plant part, such as a leaf, flower or fruit. 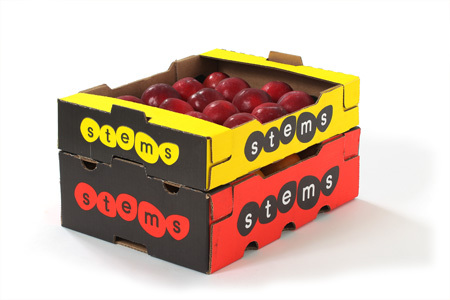 Stems, a South African Stone Fruit supplier to the international market, embrace the four main botanical functions of a stem. Support: The Stems team has over the years accumulated a wealth of experience which acts as a support structure for our producer family; strengthening and shortening the link between our growers and the marketplace. Transport of fluids: In order for Stems to grow and to flourish, we are reliant on the effective flow of information from our farms to the marketplace and vice versa. We depend on the feedback and input of breeders, service providers, wholesalers, retailers and consumers to ensure that our growers stay on the forefront of market demands, new opportunities and developments. Storage of Nutrients: We strive to be a nucleus of information; a storage hub of knowledge accessible to all the members involved in this partnership. Production of new living tissue: Nourished by this continuous and uninterrupted flow of information and the sharing of tried and tested skills, new life springs forth in the form of positive changes and improvements in the way we operate, the markets we access and the varieties we invest in. With a vision of organic growth and connectivity, family values and strategic partnerships; Stems as a company was born in June 2011. Stems was born from the dreams of South African Stone Fruit producers who wanted to distinguish themselves as important players in the international market. Dreams of excellence in quality, continuity and a unique cultivar range. Through careful selection of production areas and dynamic producers, Stems has managed to secure a varietal composition from early to late, which delivers on appearance, taste and shelf life. Due to the complexity of the commodity the strategy is to focus on quality rather than quantity; on continuity and consistency. This focus is reflected in the small, strategic grower base (23 growers) that contributes to the 2 million carton export offer of Stems. Capitalizing on the diversity and micro climates of South Africa this grower group is spread over the country from the North to the South. This contributes to the uniqueness and strategic value of each grower in regards to their varietal offer and time of harvesting. The Stems grower group believe in sustainable production, responsible expansion and financial viability built on sound and advanced farming practices. With access to some of the world’s leading breeding programs, the Stems growers have a wide varietal choice out of which they can select the varieties that fulfil demand and opportunity. Experimental blocks in the different production areas enable the growers to evaluate cultivars responsibly before commercialization. At Stems we recognize the importance of function and specialization. To enable our growers to focus on their strength, namely growing exceptional Stone Fruit, Stems Fruit PTY Ltd, was established in 2011, as an extension of the grower group, to provide the necessary infrastructure needed for effective placement and marketing excellence. In the spirit of organic synergy and effective cost structuring, Stems positioned itself alongside dynamic Paarl based Grape exporter, The Grape Co. This enabled us to tap into their well-established administrative and logistical infrastructure.